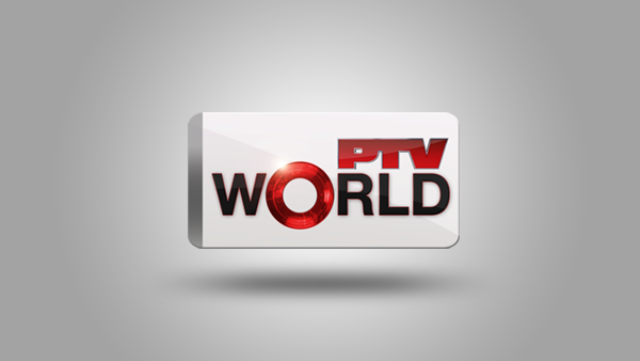 PTV World is state owned National News channel of Pakistan. Emerged as PTV World (Formerly PTV News, However PTV News still exists as a separate entity of Pakistan Television broadcasting news in Urdu.) is a 24 hour national voice, a platform for the South Asian nation to express the national speech and remain abreast off the latest happenings in the country and the world. President Gen. Mohammad Ayub Khan in his supervision inaugurated and launched the channel (PTV) on November 26, 1964 as the Pakistan’s first ever channel. The Mother channel has over the year shaped up and progressed into one of the pioneers in News by giving birth to the other arms of national media including PTV News, PTV Sports, PTV Global, PTV Home, PTV World, PTV National, PTV Bolan and AJK TV (Azad Jammu Kashmir). Though the channel is always blamed to be biased towards government but the channel has significantly succeeded in covering and imparting the news, views, discussions and national narrative in the rural masses which make more than 70% of the country’s population living in the countryside of five provinces and a long tribal belt. Focusing on “News without Sensation” PTV World being the mother of all the media houses of the country has in recent years paid an extensive heed to update the channel with the concerns of modern day. The News and reporting and the current affair forums are greatly reformed by the National TV. A lot of work has been done to ensure the integrity and independence of the state TV. In a number of regards the channel has produced the best it can to remove the misconceptions and misreporting of the news & events that shouldn’t have been considered Newsworthy or worth-reporting by some irresponsible media outlets of the country. A complete channel hybridizing the News (local and international), Sports, Weather, Entertainment, business and infotainment is all available for the national viewer in a country of over 188 million masses, making it the 6th most populated nation on the maps of the World. Live Streaming online of the PTV World News is available for the audiences. Watch the very first English Pakistani news channel online. Wait as the stream is being loaded.